A firm of chartered surveyors in Cornwall are celebrating after two of the company’s junior building surveyors attained chartered status. Rob Wickes and Andrew Miller, who work for RTP Surveyors, have both passed their RICS (Royal Institution of Chartered Surveyors) Assessment of Professional Competence in Building Surveying. Their achievement follows hot on the heels of fellow RTP colleague, Nathan Dean, who achieved the same qualification in December 2009. Sue Turpin-Brooks, practice manager for RTP Surveyors, which has offices in Falmouth and Bodmin, said: “We are all very proud of their achievements. Nathan, Rob and Andrew worked extremely hard and this is a well-deserved reward. “Becoming chartered makes all of the difference for us as building surveyors, as it establishes the quality mark under which we practice. The trio’s success will also allow RTP to expand its private practice work in Bodmin. 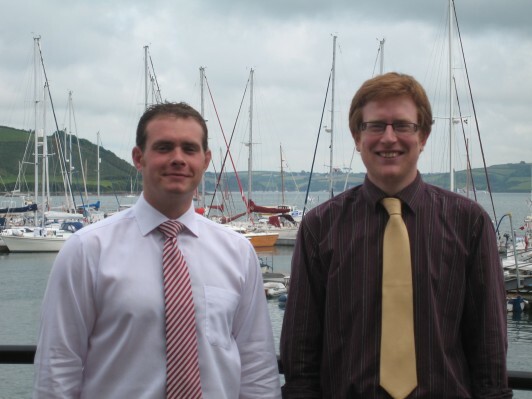 Martin Winchester, RTP’s lead director in Bodmin, said: “ Rob and Nathan undertake a wide range of design and project management duties from Bodmin, along with supporting the office in the specialisms of construction safety and historic property surveys.